Hi friends! 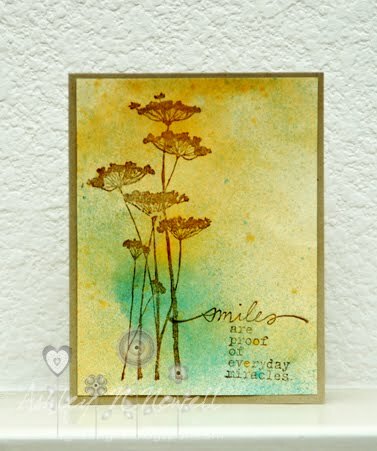 Today is the second day of my challenge with Carole where we are using the same stamps. Today's set is Unity/Donna Downey Insightful Meadows. 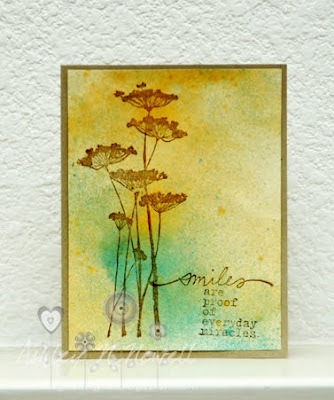 I made today's card for Tiff's HYCCT challenge to use glimmer mist on a card. I'm really starting to love the glimmer mist, it gives great impact without adding bulk so these are very mailable! Have a great Tuesday everyone and see ya later! This is gorgeous Ashley! Love the colors and stamps you used. This is stunning! What a gorgeous card! WOW.. Ashley this is stunning. I love the colours.. DD is just awesome to work with!! This is SO gorgeous! I love the effect the glimmer mist has! way to go girl! i so love shimmering mists!